Germany’s military is under fire after it was revealed that drill instructors had driven officer cadets to hospital with overly strenuous exercises. The spotlight is again on the base, infamous for a past scandal involving sadistic sexual abuse. The German Bundeswehr has reportedly brought charges against drill instructors at the Staufer barracks near Pfullendorf in southern Germany. The drill instructors are accused of having excruciated fresh recruits with extra exercises. 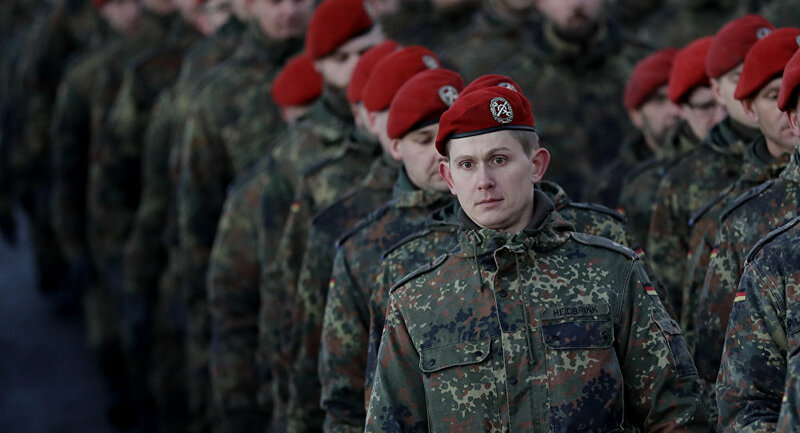 According to an internal report by Bundeswehr State Secretary Peter Tauber, cited by the German outlet Spiegel, during marching exercises in January, six newcomers collapsed. One of them wound up in hospital after falling unconscious, while the subsequent investigation showed that he had no pre-existing condition. Moreover, the report suspected that the drill instructors may have intentionally singled out some recruits and intentionally gave them extra severe exercises. During the cross country run, some of the cadets couldn’t keep up, but the instructors ordered extra-laps as a penalty. One of the officers involved in the incident, a platoon commander, has been punished with a fine of 2,000 euros for inconsistent supervision. His colleague, who has only been transferred to another post, is still being investigated. The report, cited by media, stated that "in the present case not only the methodology of sports education was wrong, but also that the principles of contemporary human conduct and other military duties could have been violated." The Bundeswehr, along with Defense Minister Ursula von Der Leyen have been in hot water over the past months, as more and more scandals involving its inner routine and practices have come to light. In 2017, a soldier died and three more collapsed after a march in the northern city of Munster. The command later acknowledged “multiple inappropriate decisions and protocol breaches” led to the tragedy. In 2017, the base in Pfullendorf came into the spotlight with media reporting allegations of "sexual-sadist practices," as officers forced some soldiers to undress and female cadets pole dance. Following the allegations, the Bundeswehr’s top commander was sacked; five officers were demoted, while seven cadets were charged. The ministry also admitted last year that it is investigating over 400 cases of right-wing extremism. The Germany military has not had mandatory service since 2011, thus the commanders need to attract recruits.